Peg-like tooth from the front of a Sauropod jaw. 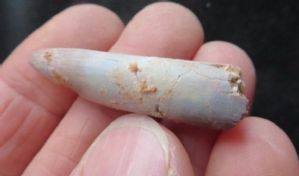 The tip shows oblique wear, typical of such teeth. In excellent condition. Difficult to obtain of this quality.